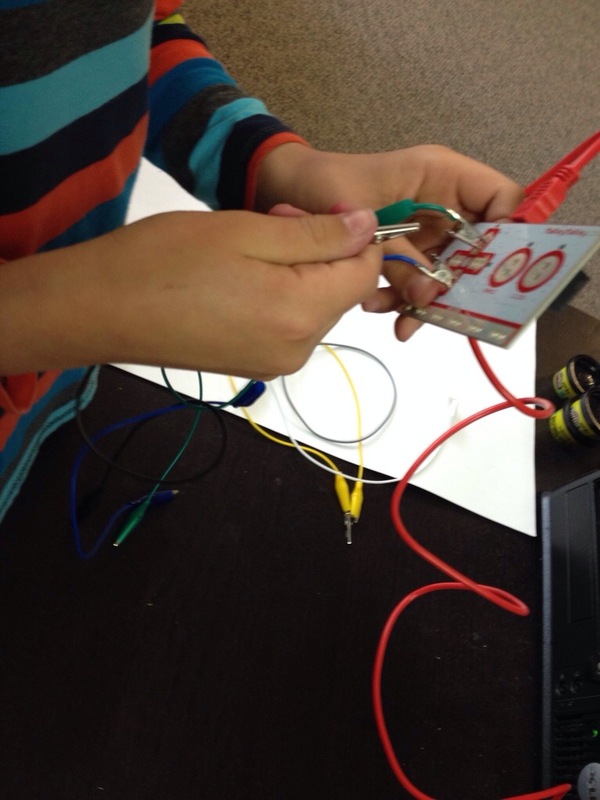 The Maker Movement hits Lord Strathcona, a K-7 elementary school in Vancouver, with Makey Makey, the perfect little tool for inspiring creative young minds. 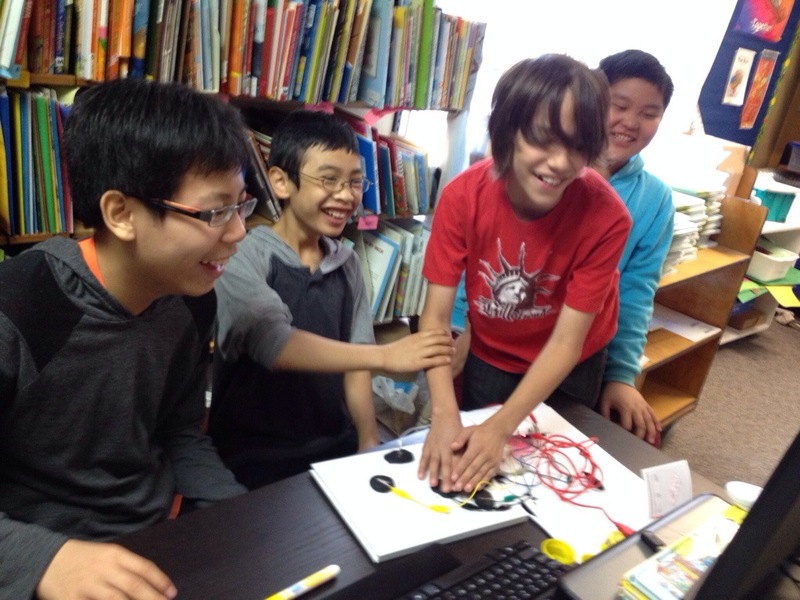 Here, a primary student makes a game controller out of Playdoh for an independent Challenge Project. Above, a few members of my intermediate literacy group are drawn like moths to light, and join in, solving the problem of grounding to make the project work.